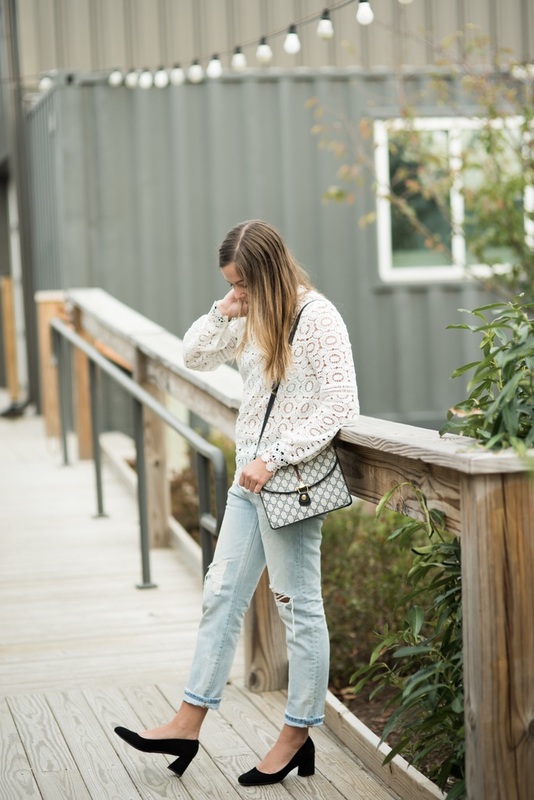 Blouse: Amelia Styles in East Nashville. Jeans: Levi’s. Shoes: Stuart Weitzman. Lace is primarily a material associated with the femininity of spring, but I love the way the scroll can be worn into fall & winter. I think it’s important to choose blouses with a heavier weight and thicker weave, so they appear less airy and more cozy and sumptuous, like a knit. 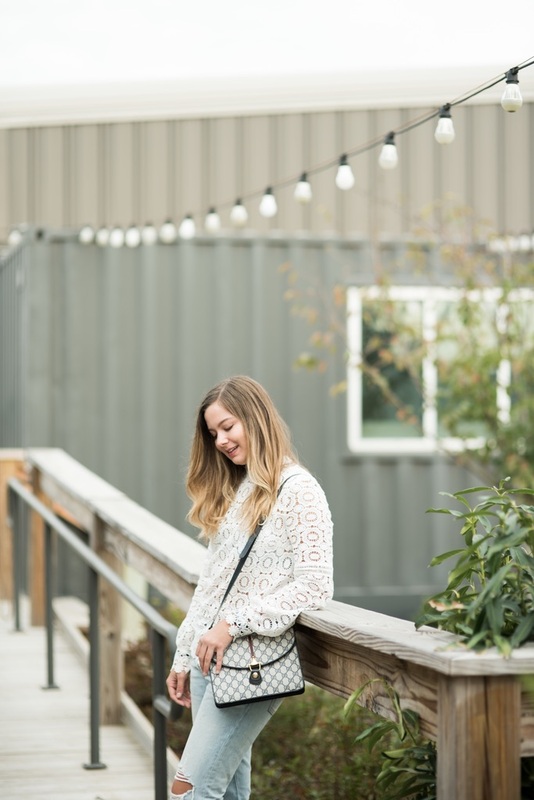 Lace obviously has an open weave in general, so making it work for colder months requires layering – traditional methods like a cami underneath are fail-safe, but they can also be worn under sweaters, vests, jumpers, or overalls.